Of the MEP disciplines, the landscape probably collaborates most frequently with Electrical. This is often in the form of site lighting. Depending on the work breakdown in a given firm, who drives the placement and type of lighting can vary. If there is any Topo/ grade change, the lights will float over or embed into the Topo (there is no way to host to Topo or Floors through a link). 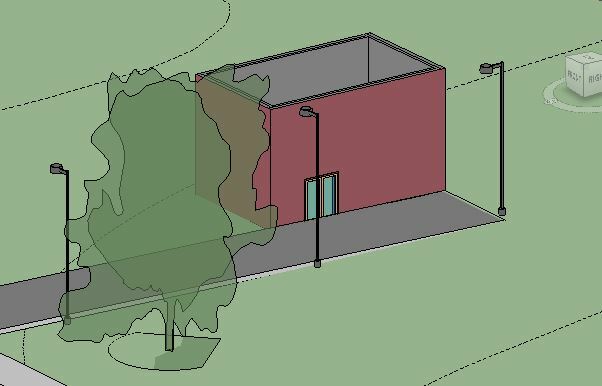 If the building moves, the site lighting (which is located relative to the building) will move with the building. While the second issue can be solved by having a separate site-based electrical file, it still does nothing to address the first. There is, however, a solution that corrects both issues: use Copy/Monitor between Site and Electrical. 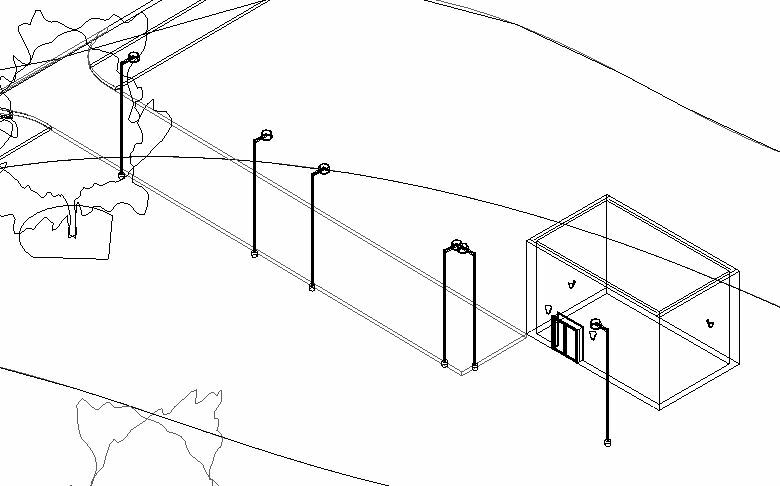 Before Copy/Monitor can be implemented, Site and Electrical must each link their respective files together, which means that coordinates must be shared to Architecture, and then pushed to Electrical. Also, you want to make sure than your Lighting is Level-based and not Face-based. Face-based families cannot be placed on Topo (they do host to Floors, but unless the Floor is flat, the Lighting will not be vertical). Unfortunately, a lot of manufacturer Lighting, even exterior lights, are often Face-based. The most effective workflow is to Copy and then Monitor. This will only work if the Lighting is placed first in the Site file. The reason for this is that Lighting, once placed, cannot be rehosted via “Pick New Host.” So in order to host to Topo at all, you must be in the Site file, placing lights on Topo from the beginning. In the Electrical file, go to Copy/ Monitor (Collaborate ribbon) and select the Site link. When using Copy, check Multiple to select multiple lights using a selection box. Then click on the Finish button (not the green check, but the one next to Multiple). 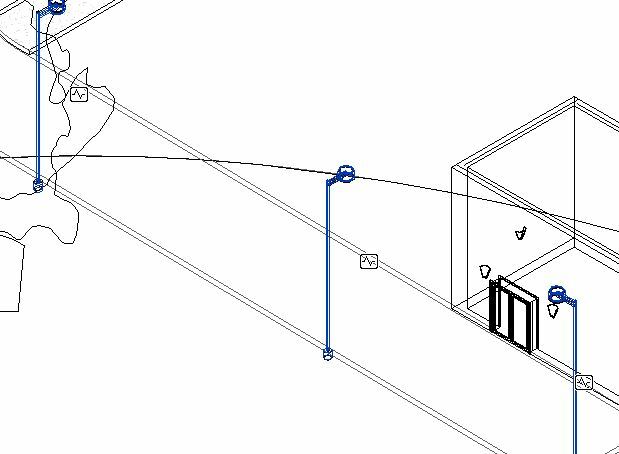 By using Copy, Revit will then automatically activate Monitor between the elements (note the little heartbeat monitor symbol next to each light). Now you can click the green Finish check to exit Copy/ Monitor. 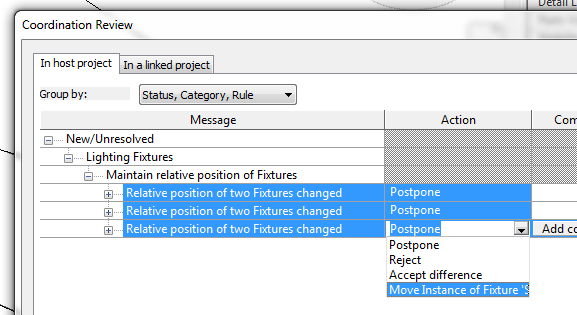 If you used Copy, Revit did the monitoring process for you in the Electrical file. 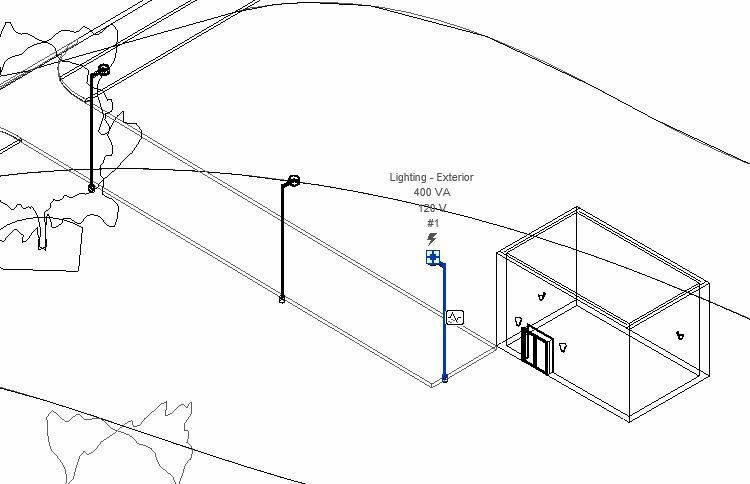 But in order for both Site and Electrical to move lights and have them respond, both files need to be monitoring all of the lights. 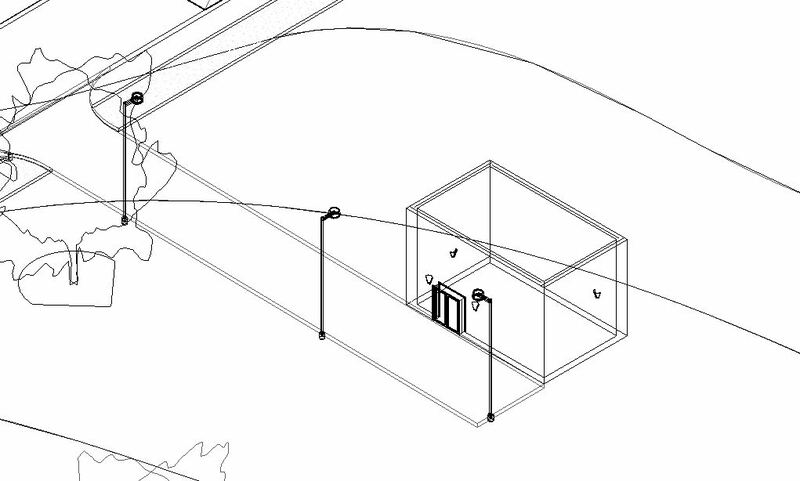 Back in the Site file, the copied Electrical lights should now be there. They will be in the exact same spot in plan but slightly off in elevation, though how much they vary here will depend on the Topo. Back in the Copy/ Monitor tool, select Monitor. Then start selecting pairs of lights (first select a light in the Site file and then select the corresponding light in the Electrical file). This is a little slower than the Copy process, but if you want to be able to move lights and have that movement relayed to Electrical, this is a necessary step. That is it, at least for the initial setup process for Copy/ Monitor. Once things start to move, Coordination Review comes into play, and though it can be tempting to ignore that dialogue box, it’s best practice to address issues as they come up. From the Electrical file, this is the current situation: the building was just moved (in the Site file) and then those coordinates were pushed (via Location) to Electrical. Click OK (twice). Just as Revit warned, the Site moved. And all the lights move back to the correct place. Finally, for Copy/ Monitor to work visually, the elements in the Electrical file will need to be placed on a Workset that is not visible in most views. They can then be turned on in Electrical Site Plans as needed, but are otherwise not visible.